To start with, let’s look at the echo fighters I mentioned a second ago. This is a new category that Nintendo came up with for Ultimate, consisting of characters highly based off of other fighters in the game. Seven of the 82 fighters are noted as echoes, including returning characters Lucina and Dark Pit. I specifically added Kate Bishop/Hawkeye last time as a counterpoint to Lucina, so it seems reasonable to consider Marvel’s recent wave of legacy heroes (which includes Kate) as the counterpoint here. And there have been a lot of good ones to choose from. I’ve liked Miles Morales as Spider-Man and Laura Kinney as X-23/Wolverine in the comics, and both have appeared on the big screen in the between this year and last. Jane Foster’s turn as Thor has been critically acclaimed, and I’ve heard good things about Amadeus Cho as Hulk (and both runs have sitting on my reading list, waiting for my free time). Eve Ewing’s Ironheart #1 came out this month and has been getting a lot of buzz. Plus, I’ve enjoyed reading other “successor” characters like Nadia Van Dyne/Wasp, Sam Alexander/Nova, Silk, and Viv Vision. Between echo fighters and costumes, I think there’s a way to get all of them on the roster (my guess is the first five as the echoes and the others as alternate forms of other fighters, but I’m open to discussion on those). The sixth spot, though, goes to someone else. Last time, I added two Star Wars characters (namely, Luke and Darth Vader) to correspond to Capcom’s Mega Man and Ryu. I keep flip flopping on this call now*, but I’ll stick with it for the moment. Since Capcom got an echo fighter this time (Ken from Street Fighter), we’ll add one from Star Wars. Rey, as Luke’s newest protégé, seems like the best fit, but I can also see an argument for Kylo Ren as an echo of Darth Vader. *Would an actual Marvel fighting game goes as far to add Star Wars characters? And if so, would they really stop at two or three once they started? I’m not positive about either, but it makes for a nice parallel to the Nintendo-Capcom situation if nothing else. I usually start these focusing on the villains, so we’ll do that part next. King K. Rool from Donkey Kong and Ridley from Metroid are the big villainous additions this time (as well as Dark Samus as an echo fighter, but we’ve already filled those slots), so we’ll go with our normal two-ish* new villains from Marvel as well. Over the past installments, we’ve hit most of the biggest villains, between Magneto and Dr. Doom in the second entry, Loki and Green Goblin and Doctor Octopus in the third, and Thanos and Ultron last time. *Of course, villainy is such a flexible concept in both universes; see, for example, Magneto leading the X-Men for a few years, Hawkeye and Silver Surfer being introduced as villains, or Bowser casually go-karting with Mario and Peach. A lot of the biggest remaining ones in the comics I can think of are a little unusual (for example, Kang the Conqueror relying on time travel, or Galactus being planet-eating-huge), so maybe we could reach into the movies for some popular antagonists. I think the last few movies have had some great ones (albeit I did find Thanos more lacking than many others did), but I especially liked Ghost from Ant-Man and the Wasp and Killmonger from Black Panther (plus, I’ve heard some awards buzz for Michael B. Jordan’s performance in the latter, which would be well-deserved). I think both would slide neatly into a Smash Bros-like game as well, so let’s go with them. Speaking of Black Panther, I think it would be pretty easy to justify adding another character from that part of the comics following the massive success of the movie. I would say that Shuri is the most likely candidate, given her large role in both the movie and comics. While we’re on that tangent, who are some other popular characters from the movies and films that we’re still missing? Given how deep we are into the universe, that’s a good place to brainstorm for more ideas. We’re still missing two of the core Guardians of the Galaxy members, so let’s finally add Drax the Destroyer and Gamora. Agents of S.H.I.E.L.D. is still going strong, with its sixth season coming up. A character from that show would make sense, possibly Quake, who has gotten a push in other corners of the Marvel Universe. And I’ve avoided The Punisher so far because I’m not a big fan of the character, but it’s probably time to finally add him; after all, he’s a fan favorite who finally got his own Netflix series (following three prior studio films). Speaking of starring roles in movies, Cable getting a co-star role in Deadpool 2 probably helps bump him to the top of the X-Men list. I’ve used Mario-adjacent characters as the stand-in for X-Men, which is good this time because Nintendo added three (Daisy, King K. Rool, and Piranha Plant) and we’re still missing a bunch of notable X-Men. In fact, I may even dip into our five DLC “Wild Card” options to add some more (since X-23 is from the team as well). Last time, I noted Emma Frost, Gambit, Cable, and Psylocke as the runners-up, so we may as well add that whole quartet. We’re still missing a lot of notable mutants, so if you’d prefer someone like Angel or Jubilee, I’m open to those arguments, but I’ll stick with these ones for now. I think they would bring a nice mix of popularity and unique move sets to a fighting game. I think we’ve covered most of the biggest names from the movies and TV shows, and we’re pretty well-covered on the X-Men front, so I can include a few personal favorites that I think would also be realistic dark horse choices in a real Smash Marvel Ultimate. We still have five more slots to fill, so I’ll go with Squirrel Girl for the next one. I mentioned her as a possibility last time, and I think it’s possible she would have made the fourth game in this hypothetical series, but she can’t be ignored by now. Her acclaimed comic run is still going strong, with a wide audience (fun fact: I once even saw my college Science Fiction professor at the local comic shop as we both were buying the newest Squirrel Girl collection), numerous awards, and potential TV adaptions in the works. Patsy Walker/Hellcat is actually one of Marvel’s oldest characters, first appearing in a teen romance comic series (think something like Archie) back in 1944 (for reference, that’s just three months after Captain America’s debut). Those titles continued into the late ‘60s before the genre fell out of favor, but in in the mid-‘70s, she was revived and giving a superhero identity, soon thereafter becoming a member of the Avengers. She’s appeared regularly since then, including a TV supporting role in Jessica Jones, and I’m a big fan of her most recent solo series, Patsy Walker A.K.A. Hellcat. Mockingbird doesn’t have quite as long a history as Hellcat, but a lot of the other beats are similar. Bobbi Morse was introduced in the ‘70s, later became a superhero, joined the Avengers not too long after, and became a prominent reoccurring figure in the universe. She was also featured on Agents of S.H.I.E.L.D. until Marvel tried to produce a spin-off show starring the character, but that fell through after just a pilot episode. And of course, her most recent solo series was an exciting spy/mystery run that wound up picking up some Eisner Award nominations. 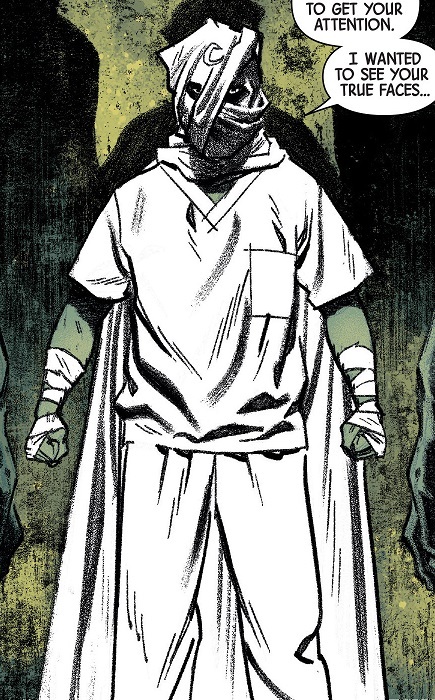 I floated the idea of Moon Knight last time, and I’m definitely sticking with it this time. He hasn’t shown up in the MCU side of things yet, but he’s floated as a possibility all the time, and he’s had a few solid comics series as of late. It helps that he has maybe my favorite designs in comics; even all of the alternate versions look incredibly cool, improvised-bed-sheets version included. And lastly, let’s include one more recent star. America Chavez quickly caught on with fans after her debut, and has been racking up appearances since then, with starring roles on fan-favorite teams like the Young Avengers, Ultimates, West Coast Avengers, and the recent Marvel Rising Animated Series, not to mention her own solo book. A quick rise and big following like hers seems like the type of thing that would get her into a game like this.